China Power and Influence. TCM and how to ‘bribe’ the NSW Minister for Health! You’re sitting on a beach when suddenly not far from you, you notice a commotion. Your fear is confirmed when you see life guards dashing into the sea and moments later they drag a lifeless body of a young child from the waves. Because the life guards are well trained, they manage to revive the child, resulting in a collective sigh of relief from the gathered crowd. Happy endings like this makes people feel good – it is good news. But this is not where it ends. Suddenly you hear screaming and to your shock you witness something truly amazing. The parents of this boy sprints down the beach, bursts through the crowd, all the while shouting that they will save their child. To your amazement they pull the child, still gasping for air, from the arms of the life guards back into the ocean where they hold his head under water until he drowns! I don’t know if anything like this has ever happened but I’m almost convinced that the crowd, after recovering from their shock, will most likely attack the parents and more people might die that day. Now, one of the hallmarks of a fake healthcare system is the fact that just about everything works. Think of rhino horn, acupuncture, homeopathy etc. but also something such as slapping therapy – everything works. Surely, when you allow a practitioner into your clinic to provide people, including children, slapping therapy then you acknowledge that it works? If not, you are intentionally misleading your patients (interesting catch 22). But let me explain the analogy. These parents suffer from a level of delusion that most people simply cannot understand and sadly this type of scenario plays out far more often than most people would like. And if the Chinese Communist Party (CCP) has its way, these tragedies will increase significantly and it might even become quite common. Take for example the tragic slapping death tragedy. The poor parents were misled into believing that they can cure their 6yo son from diabetes type 1 by attending an expensive ‘slapping therapy’ workshop in Sydney. The child was taken off his medication (out of professional care) and was slapped (allowing the sea to finish the job) in the believe that this will cure him. It did not, and the child died. The slapping therapist and the parents are now facing court, but this should be seen as treating the symptom while the cause, the people responsible for creating this level of delusion, are continuing to relentlessly disseminate their misinformation regarding ‘integrative medicine’. From the website of ‘Master’ Hongchi Xiao. Left, an 8yo boy who suffers from a serious kidney disease, right, the leg of a 13yo suffering from diabetes. The type of injuries caused by the slapping therapy is easily visible (it is unknown if these children survived and how many victims ‘Master’ Xiao made during his lucrative career). To use war terminology might be a bit far-fetched but I don’t think it’s unreasonable. This war is being fought between an army of pseudoscientists (backed by the CCP and others) and a few scientists (backed by, uhm, no one) and it’s about the ‘integration’ of fake medicine and medical procedures with evidence-based healthcare under the umbrella term – ‘Integrative medicine’. For most people, hitting a young defenceless child to such a degree that he dies of his injuries and/or lack of medication, is surely a heinous crime. But others apparently see this practice to be okay, and these deaths should be considered ‘collateral damage’. After all, many innocent people die in war zones, and although undesirable, it is an inadvertent consequence of achieving the greater good – to win the war. Slapping therapy is part of the pseudoscientific Traditional Chinese Medicine (TCM) industry, and because of the sheer economic size of this industry, the CCP decided to revive it, protect it and promote it nationally but also internationally. Any critique of TCM within China is met with the long arm of the law. Quite recently a Chinese doctor was jailed for three months after he wrote an opinion piece regarding the dangers of a specific TCM remedy. So, TCM is here to stay and is also one way of how the CCP is exerting its influence overseas. Their current excursion is to steamroll over science (and the few scientists willing to defend it) via some Australian universities (who in turn derives financial benefit) by creating ‘scientific’ legitimacy for TCM and thereby increase their Australian (and western) market penetration. They use the billions of dollars that Australian universities receive from (Chinese) international students as a silent threat in order to keep these universities in check and dancing to their tune. Via some Australian academics they have infiltrated and now have the support of Australian regulators and politicians. All in all, it is going quite well with their plans to internationalise TCM. Facing this tsunami of misinformation, and defending the battle front, you have a few lonely scientists. Nobody is pumping millions into warning people about fake healthcare systems, because there is no money to be made from it, and hence with their meager resources, they simply do it because their conscience demands it. In this article I will focus on the role of the former Minister of Health for New South Wales, Ms Jillian Skinner, and her role in this calamity. Two letters were send to Min. Skinner, one warning her about integrating TCM (and other disproven and unproven healthcare systems), the other letter promoting TCM. So which one had an impact? Any health minister would surely understand the dangers of supporting the principles of TCM, which is that disease is caused by disturbances in your (pseudoscientific) life force, or Chi, that flows through ‘meridians’. Inserting needles (acupuncture), taking Chinese herbs or slapping yourself all ‘aim’ to influence and/or restore your life force and cure you of whatever ails you. That some herbs might be beneficial is a given but it is because they contain very specific compounds (and very few do) – this has nothing to do with your life force! Supporting the integration of pseudoscientific healthcare with real healthcare is very dangerous as was illustrated by the slapping therapy death. Hence, one might expect that the minister would be accompanying Dr Tan/Prof Bensoussan to the police station, because something like this should surely not be allowed? The NICM supports and promote any form of complementary, alternative or traditional (CAT) medicine and do not advise the public, as claimed, about the dangers of disproven CAT medicines such as homeopathy, TCM etc. because most of their funding depends mainly on misleading the public. People, including children, die because of this misinformation. But for some reason the courts only take action when children are involved. Here is another tragic example of a 9-month old baby that died. And just recently the Australian government even ignored the recommendations of a new review and decided that; “Homeopathic products will continue to be sold in Australian pharmacies, despite a long-awaited review warning the government the practice could compromise the health of consumers.” Obviously, their lobbying has been quite successful to date! But this shows that the NICM and their partners will defend just about any fake ‘medicine’ including TCM because they derive funding from it. 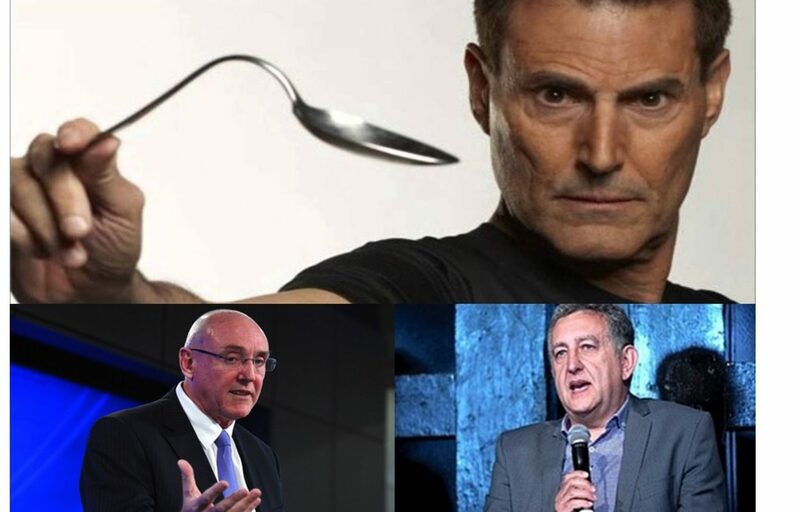 This cunning ability to mislead the public, regulators and politicians was at least rewarded with the Bent Spoon award for quackery in 2017 – for what it’s worth. If you consider the fact that they were involved with the slapping therapy workshop (people died), their response to the NHMRC Homeopathy report (people died), and even that one of their business partners were send to jail after being caught importing rhino horn into Australia (endangered animals died) – all of the above are ineffective remedies or treatments and therefore this sentence is not misleading, it is a blatant lie. Left. Minister Skinner (seated in red) signing a MoU with Vice Governor of Shandong Province, the Hon Wang Suilian. Right. Min Skinner (in red) witnessing the signing a MoU between TCM producer Tong Ren Tang and Ramsay Healthcare. But did the NICM break the law? But did they do anything illegal? I am no expert in the law but I believe that providing misleading and/or false information to ministers, who then based on this promote the integration of ineffective healthcare might indeed break the law – especially when this result in the death of members of the public. Did they provide former Trade Minister Andrew Robb (discussed here) and Min Skinner with correct and unbiased info about what TCM is? Well, their letter tells me that they did not. As far as I can tell, neither of these former ministers have a background in science, and as such, can easily be misled when it comes to complex scientific issues. But then again, you need to be receptive to these ideas and propaganda, because at the end of the day they signed off on it. I sometimes just wonder where all of this will end. If organisations such as the NICM (they are not the only ones) are not reeled in now, how will the Australian (or western) healthcare system look like in 10-20 years’ time? They are masters of deceit with a clear intention to mislead the public for the sake of making money. For example; their new TCM ‘hospital’ in Westmead will not be called exactly that, they have chosen a much more mundane and misleading name; ‘Western Sydney Integrative Health Centre’ – it will fool many, because it is right next to the southern hemispheres’ biggest health complex and it is backed by a Australian university to give it even more credibility. The new TCM hospital in the heart of Sydney. The NICM and BUCM will move in during June 2018 and will immediately start to dish out TCM treatments to the unsuspecting public. I used the phrase ‘China Power and Influence’ in this article as well as in two previous articles that you can find here and here. But this is only one side of the bigger picture because most people are well aware that China, as an upcoming super-power, wants to exert its influence in various ways in various countries. But I do hope that I’ve managed to highlight that TCM is also part of this and as such, a threat, not only to the health of people, but also wildlife. The reasons why China included TCM in their plans are probably complex and likely multifactorial and I will attempt to deal with this question in a next article. But the main message that I wanted to get across is that although China is the source of TCM, and hence the problem, any country can quite easily recognise it as such and say; ‘no thank you, we will stick with modern evidence-based healthcare, but will gladly collaborate with you in other areas.’ This has not happened in Australia. And this is the message. There are Australian citizens in positions of power who has gone out of their way to legitimise and normalise TCM in Australia and hence aided the CCP in executing their plans for the sake of, mainly money. Some people are capable of doing strange things for money and some even have the ability to completely switch off their conscience. All of this is now playing out in Australia (where and how it will end is anyone’s guess), but will this be all that different than what is happening regarding TCM in other western countries? I fear not. Previous PostPrevious The remarkable medicinal properties of ………. a pregnant women’s head! Why Unis should stand up for science!